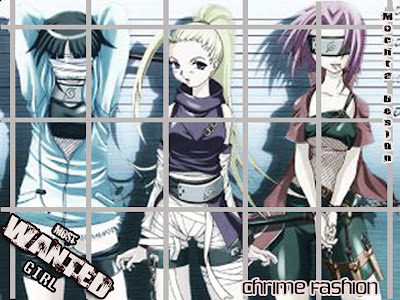 Sakura, Ino and Hinata are the most popular Kunoichi from Konoha. They most often appear on Naruto anime or manga more than the other girls. I like Sakura, Ino and Hinata because they are so beautiful, smart and brave. I called them "Three Kunoichi from Konoha". On this post I try to make several wallpaper about them in wearing different fashion and the result you could see below. Maybe little different from usual, but the most part of their clothes I had taken from Naruto Shippuden Anime. 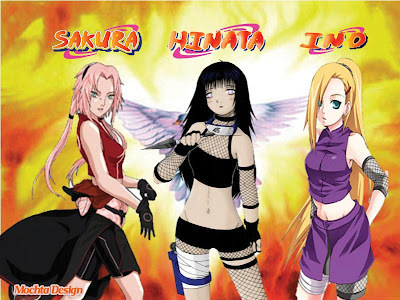 Sakura, Ino and Hinata look like roses on fire, hot but still good looking and pretty. All of them are wearing red clothes with christmas themes and background. Forgive me if I make them look more hot but it just to show the spirit of christmas :). 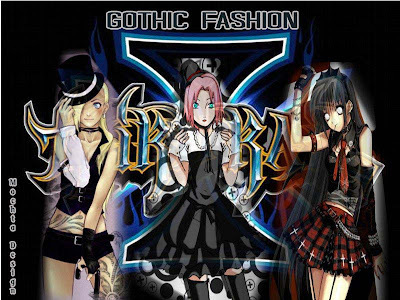 Their fashion were completely different. Perfect.. Impressive, that is the first word after finished this wallpaper, I always imagine about them if they weared modern fashion and now its becomes real. Sakura, Ino and Hinata look more pretty cute, right? Of course because they are my favorite Kunoichi. Are you ready for big party? did you have a girl or date for coming in party? No you didn't. Don't worry just invite Sakura, Ino or Hinata to be your date. You won't be regreting and don't worried with their fashion because they were ready for that. As the most wanted girl in Konoha, this wallpaper would become a nice poster. Amazing, even they wear a crime fashion and with background on jail, they didn't lose their beauty. A little naughty mind, if it could be a real, I wish to become a person that caught them first. 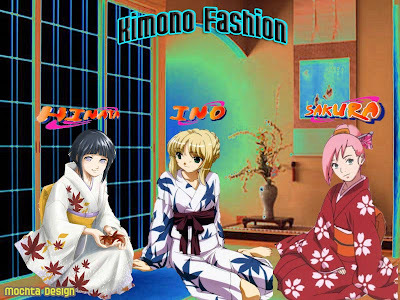 The last clothes "Kimono", because they were born from japan anime, I'm sure Sakura, Ino and Hinata would look so great with Kimono. You don't believe it, just see the wallpaper below. Ok guys..after see their new appearance, what are you thingking now? Let me guess, you must be imagining they could be a real human and you will be falling in love with one of them and ask her to be your girlfriend. am I right??? The last wallpaper is not Ino, but is Saber from Fate Stay Night anime !